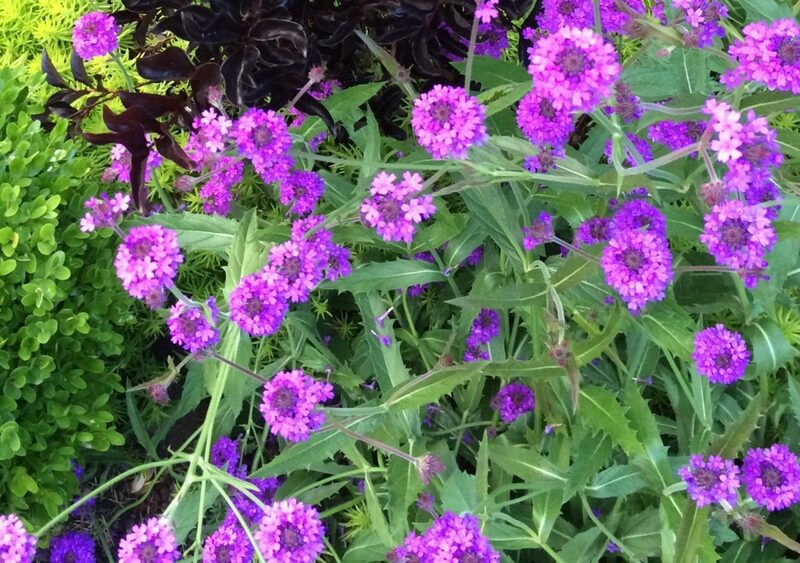 Vigorous and floriferous perennial Verbena for tough areas. Spreading by underground stolons in rich to average well drained soil this deep purple flowering perennial covers ground in short order. Full sun and light summer water when established to lengthen bloom time. Even then it begins flowering in June and continue unabated for two months. To 2′ tall and 4′ wide. Give it room to spread and do not pair with delicate neighbors. Hellstrips, Insanely hot and dry south facing hillsides. Freezes to the ground in winter- returns from the ground when truly warm weather arrives. Moderately deer resistant.